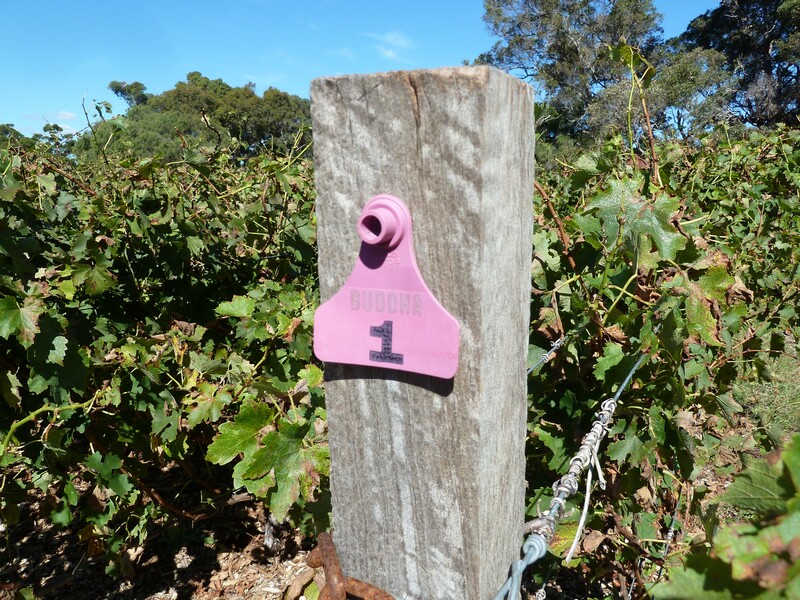 On a visit to Margaret River in Western Australia, with its popular and well-established, high-volume wineries, we find one winemaker — an American — who is taking a different turn by producing low-output wines of unique garagiste appeal. Though he is already widely acclaimed outside Australia, given his philosophy and approach, local acceptance may not be easy to come by. “Top secret location”, I am instructed. Having spent the past two days moving from polished winery to polished winery, all of sudden I find myself in unknown territory: no signposts, no sweeping driveways, no dark-wood-paneled tasting rooms, no repetitive hosts in branded polo shirts. Below a clear and sunny Autumnal sky, I find myself in a silent vineyard, a small plot of land just two acres in size. It looks nascent, rough around the edges, experimental. I’m no more than 2,000 metres from the sea, and beyond the vines stretch paddock and Karri trees. An eagle, being antagonized by two smaller birds, circles overhead. A figure then appears, clutching a swathe of foliage. “Radishes,” the man states. “My latest compost pile is starting to get active so I need to feed it.” This is Will Berliner, New England native, horticulturalist, self-styled philosopher and Yale-educated architect of Cloudburst wine. We’re in Margaret River, on Australia’s south-western tip, a long way from home. 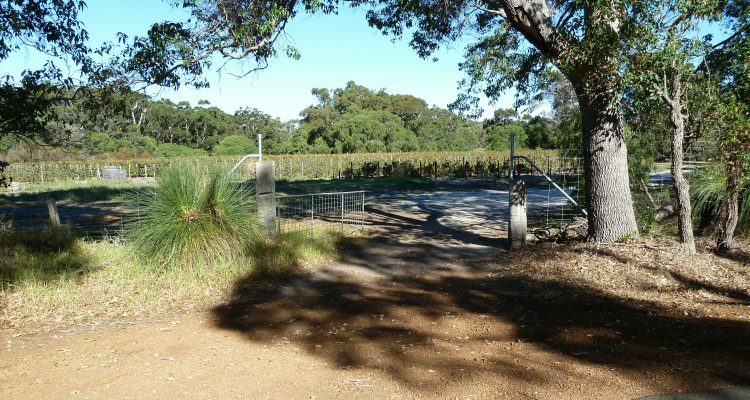 Cloudburst — the name deriving from a meteorological-led “epiphany” Berliner experienced — has been stimulating discussion within the Caves Road section of Margaret River ever since Cloudburst’s 2010 Cabernet Sauvignon won Best Red in Show at the region’s 2013 annual wine awards. It was Berliner’s very first vintage. With a total annual production of just 450 cases across three varietals, it is clear that Berliner occupies a unique position among what is already a collection of well-established, high-quality winemakers here. 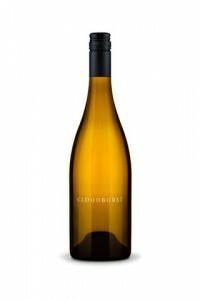 Cloudburst wines are not inexpensive: the Chardonnay sells for US$155 and the Cabernet runs $200-250. Of other premium Margaret River producers, only Cullen’s “Vanya” Cabernet – at $270 – is priced similarly, and no-one else’s output comes even close to being so low. Berliner’s 2013 Cabernet had a crop of just 1,688 bottles. With his raison d’être firmly established, “I want to show you what I mean by all this”, Berliner continues. At this point, my expectation blunted by the mechanical repetition of all the other wineries’ approach to tasting, I wonder how exactly he intends to demonstrate the output of his labor by talking me through tasting his wine. I needn’t have worried. We walk over to his Ford pick-up, and Will produces two boxes: one is full of wine, the whites chilled just right, and the other a selection of Riedel stemware. He sets up our tasting run right off the back of the truck. “To start, I want to do a little experiment. Try these two wines; I won’t say a word.” Not allowing me to see the bottles, he pours two glasses of what I assume is Chardonnay. I suddenly feel slightly under pressure. I find myself reverting to my WSET Systematic Approach to Tasting training but from the outset I feel I am being duped in some way. They’re both young wines, “no more than 3-4 years old” I say to him. While the first is a little more flat and less expressive than the second, they’re both beautifully balanced with demonstrable complexity. Delicate stone fruit, floral notes and integrated oak lead their flavor profiles. So what was the trick? “They’re the same wine”, Will reveals, “both are my 2012 Chardonnay. The second one I opened just before you got here, but the first has been open a week. I wanted you to compare the two to illustrate how not adding anything, especially preservatives and chemicals, can keep a wine perfectly stable long after you’ve opened it.” He makes a compelling point. The 2013 Chardonnay mimics the ’12, but in addition it has somewhat of a saline note, akin to an Albariño from Rias Biaxas in the Spanish region of Galicia. You can tell Berliner relishes idiosyncratic touches, and appears to enjoy seeing his bare-bones philosophy being vindicated. The 2014 is a real step up. This is wine of the highest quality. With the austerity and steely certainty of a young Chablis, but the assured weight of Puligny-Montrachet, it dances between flinty minerality, yeasty autolytic and soft nougat cues, and bracing citrus, white flowers and soft peach. The finish, with lovely acidity, goes on and on as we continue to talk. 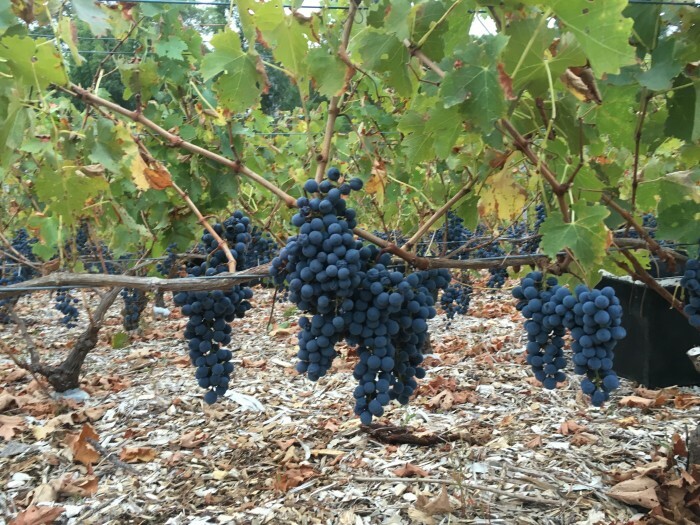 The 2012 Cabernet Sauvignon (which includes 7% malbec) has purity and cleanliness. At first its varietal character of blackcurrant, cedar and herbal leafiness shines through, but then I spend an age pondering its tannins, which seem so light and feathery. 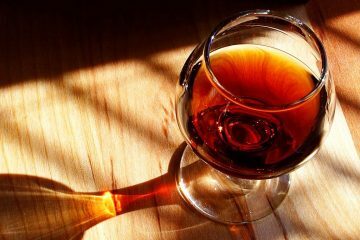 Coupled with its lovely ripe fruit and perfectly balanced acidity, the wine lasts on the palate for well over a minute. Like the ’12, the 2013 (with 4% malbec) is rich, concentrated and powerful, reminding me of a young St. Estephe in a hot year, like trying a 2003 Montrose a decade ago. Deep purple, it looks inky and syrupy in the glass. It has a beautiful linear finesse on the palate, the calling card of great Claret, while still maintaining that uniqueness, that sense of place, that Berliner is clearly aiming for in his wines. Both stunning, though for me the ’13, with an even longer finish, was the better of the two. It should last for 30 years+. We round things off by sampling his ultra-low volume 100% Malbec from 2013. It’s a “work-in-progress” but a fine first effort. With dark fruit leading the way, it still carries the site’s trademark complexity with rustic and savory notes, all with that structural accuracy and individualism. 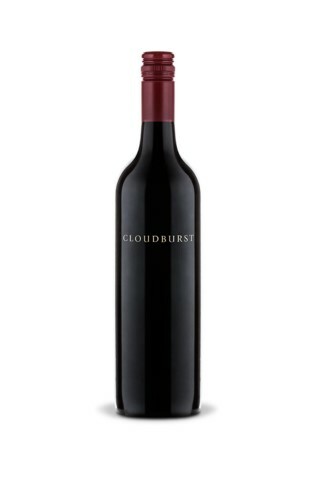 It is probably being facile to directly compare the Cloudburst wines to those of Burgundy and Bordeaux. It’s clear his approach differentiates his wines stylistically from the handful of other premium Chardonnays and Cabs I’ve tried at other local houses, not to mention the Cote d’Or and Left Bank. Like a perfectly executed plate of food, it’s only once you’ve finished, and reflected on the technical expression of the individual elements, you appreciate the aggregate picture. And what a picture it is. 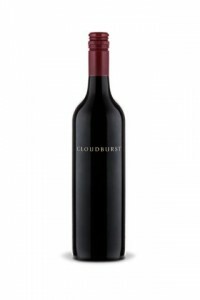 A limited amount of Cloudburst sells in Australia, but most of his wine can be found on the restaurant tables of Manhattan, Connecticut and California. The French Laundry, for example, recently took a consignment. For private customers, Will does not use traditional distributors; instead people order through his website and orders are shipped worldwide via courier. 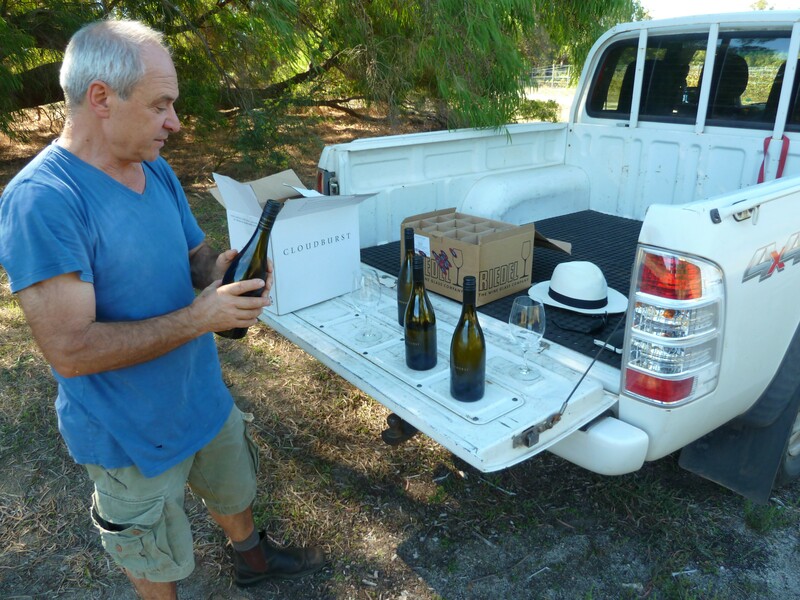 Whatever the Margaret River winemaking community thinks of his project, Will Berliner – and his first class wines – will continue to garner attention. Without doubt, his product will sell to its target market. And though I had spent most of my trip to Margaret River laced with undoubtedly excellent wine from highly-polished operations, trying Cloudburst off the back of the weathered Ford somehow reaffirmed my faith that maybe, occasionally, brilliant wine can be made for the right reasons. David is a Hong Kong-based wine writer. As well as working in collaboration with merchants and distributors in the city, he hosts his own blog, The 23rd Parallel . You can follow him on Facebook here, or go straight to his blog here.